Haxe + Papervision = Hot damn! | Honey Baked Goodness! Haxe + Papervision = Hot damn! Do the math! I encourage you! Check my figures! Could it really be true? A google search on haxe+papervision lead me to a mailing list link to HaXe版PaperVision3d, which made me think: yeah! (pronounced “yehah”, not “yee-ay”). As they say in Finland: let’s get it on! 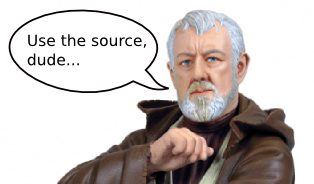 I’m totally gunna use the source, Ben! Thx! You ℛ☉✖✘☮ℜ⚡! For some reason, that link is fark-tarded, from googoo, but if you download it and hit if from local it looks kinda like this, but spins like a dervish! Sweet! This is going to be fun!